Kielce’s Fashion for Kids’ second edition - a must attend event. 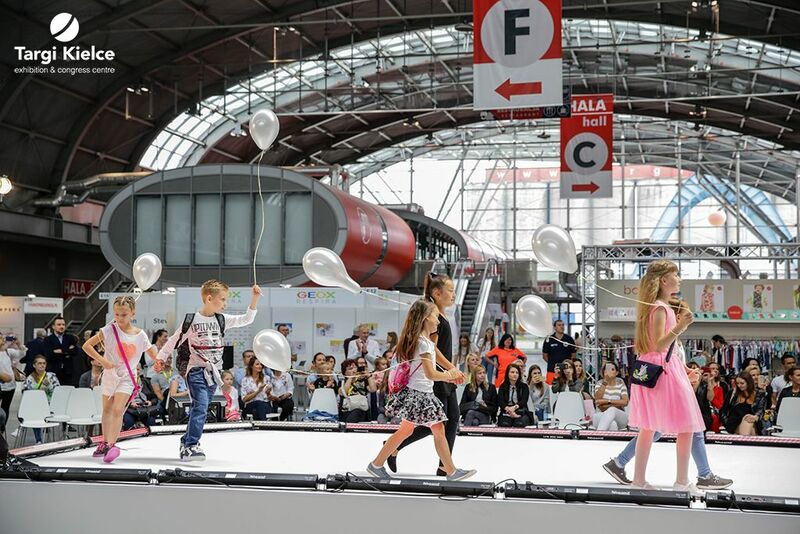 Top brands which make children’s fashion expo have already announced their presence at the 2nd edition of the Kielce Children's Clothing and Textiles Expo. The event’s organisers have recognised the influencer marketing’s impact and therefore have again invited bloggers and youtubers who will be brought together in a special zone. The expo will not fall short of opinion-forming and business-insider media, designers and fashion creators. There will also be a whole array of professional workshops and lectures. The Fashion For Kids expo offers an excellent opportunity to become familiar with the garment collections premières and delve into the current trends as well as to establish business contacts. The second edition of B2B Clothes and Textiles Expo is held on 26 and 27 June 2019 in Targi Kielce. The Kielce exhibition and congress centre has already marked its permanent place on Europe's map of child products and services business sector's meetings, the creators and organisers of the well-known Kids' Time expo enjoy a vast experience; therefore the Fashion for Kids has been bound to succeed. Targi Kielce’s June 2019 expo is the consecutive meeting of the global children's fashion industry. THE GREAT DEBUT OF LITTLE MODELS STAGED TOMORROW AT THE TARGI KIELCE! ARE YOU A DESIGNER? FASHION FOR KIDS - the event YOU CANNOT POSSIBLY MISS! Do you want to learn more about the designer&#039;s profession? Are curious to know what the Designers&#039; Zones will be at the première Choldren&#039;s B2B Clothes and Textiles Expo? Listen to yesterday&#039;s Radio Kielce&#039;s podcast of a live show!